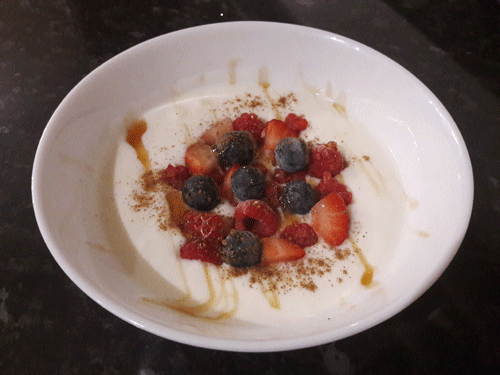 Homemade yoghurt is fermented food that delivers beneficial probiotics for optimal gut health. This all depends on the quality of the milk and the fermenting method used. 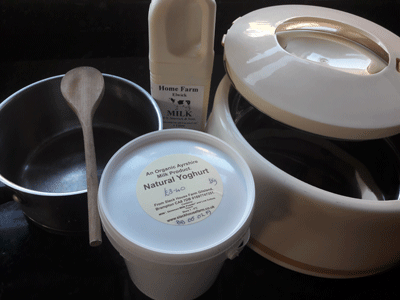 The best milk used for making homemade yoghurt is raw, grassfed milk. Raw milk is not heated so therefore it contains all the beneficial bacteria that benefit your digestive system. It contains enzymes that improve the digestion of protein, fibre, carbohydrates, fats and vitamins A, B, C, D and K. Raw milk is available from numerous certified farms in the UK whose herds are checked by health authorities. The best milk is from Jersey cows which contain most milk fat. You will need some yoghurt already in order to make this recipe. For a good yoghurt, look for lactic acid forming bacteria. At a minimum you want Lactobacillus bulgaricus and Streptococcus thermophilus. Other good bacteria include Lactobacillus acidophilus and Bifidobacterium lactis. You don't want any kind of preservatives, stabilisers and flavouring in the yoghurt, otherwise they will go into your homemade yoghurt. This yoghurt is fresh, seriously good and tastes fantastic. One litre of preferably raw milk. If not raw, then use pasteurised but un-homogenised milk, or just organic milk. A container such as a hotpot, thermos or just a glass dish with a lid. One wooden or plastic spoon. Try not to use metal. Some local live yoghurt or any store bought yoghurt that contains live cultures. Stainless steel pan to heat the milk in. A blanket to keep the container of yoghurt warm for 24 hours. 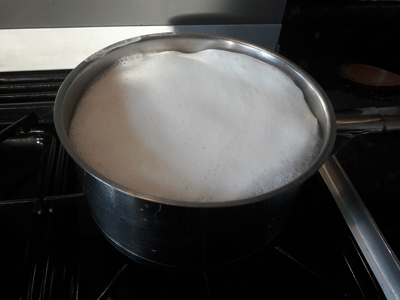 Place the milk in the pan on a medium heat. Stir occasionally to stop it from sticking to the pan. 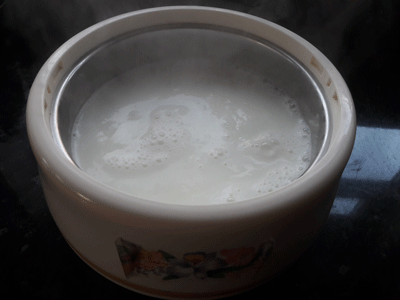 Heating the milk makes thicker yoghurt. Once the milk comes to a boil, turn the heat off. Pour the milk in the container you are using to make the yoghurt and let it cool down to room temperature for about 15 -20 mins. Whilst the milk is cooling, take your pre-made yoghurt out of the fridge and leave it out in room temperature. 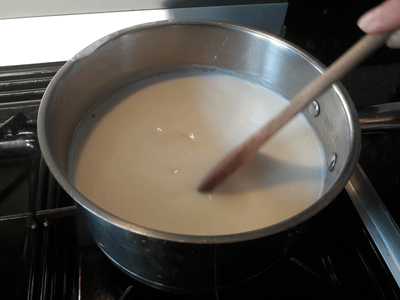 Place 3 tablespoons of the yoghurt into a small bowl and add 1 cup of the heated milk and stir. Pour the mixed yoghurt into the rest of the milk and stir with a wooden/plastic spoon. Put the lid on the yoghurt container and wrap the container with a blanket. Place in a warm room or on the kitchen worktop in a warm area. You can also place it in the oven with the light on. 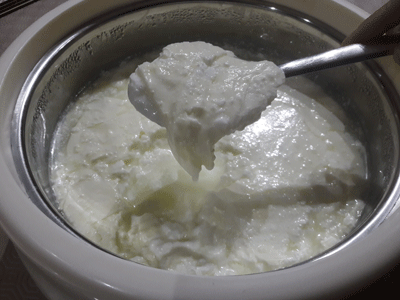 Do not move the yoghurt after this point, leave the yoghurt to ferment for 24 hours.